After trying the energizing cold brews, scrumptious frappes and seasonal lattes of your local coffee shop, it might be seemingly impossible to revert back to a plain hot pot of coffee. However, daily visits to your barista might start to become a bit of a love-hate relationship as it can put a dent in your wallet, healthy lifestyle or morning routine. 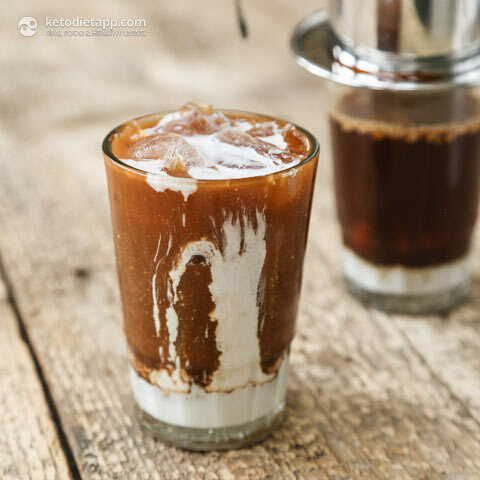 Iced coffee is a coffee shop frequent-favorite: it’s easy to sip, refreshing in hot temperatures and can be enhanced with yummy flavors and creating healthy homemade iced coffee is more effortless than one might think. For a simple fix, add coffee grounds and water to a Cold Brew Coffee Maker overnight. When it comes time to function the next morning, your very own cold brew is ready to be poured over ice and the creamer of your choice. 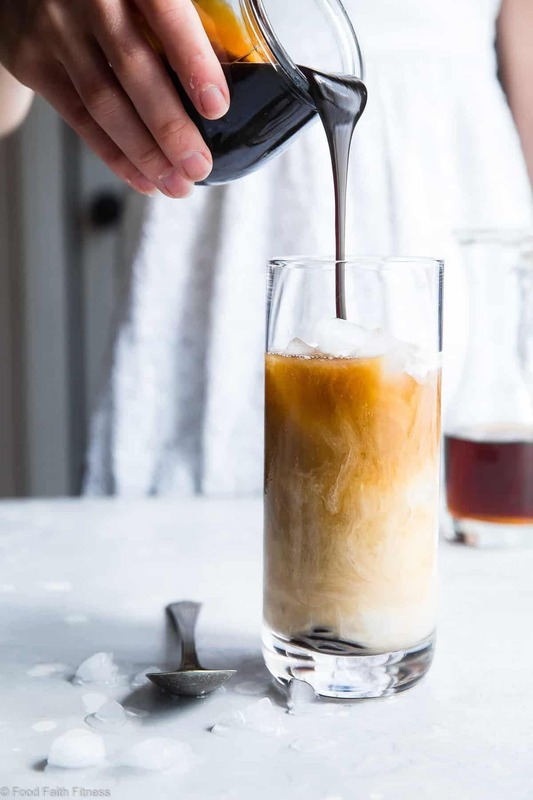 For especially indulgent energizing drinks to call your own, take a look at these iced coffee recipes. They have a short prep time, are made with natural ingredients and might get you hooked on becoming your own barista. You love this coffee shop classic because it perfectly combines the joy of biting into a piece of candy with the awakening flavors of java. This recipe joins cold coffee with almond milk and homemade caramel syrup for a delectable coffee treat. The syrup is dairy-free, sugar-free, gluten-free, aka guilt free! Nothing spices up a morning cup of joe much like this dark cinnamon-infused chocolate sauce when you blend it with your cold coffee. Its cinnamon and cayenne pepper will wake you up as the rich chocolate powder satisfies your soul. 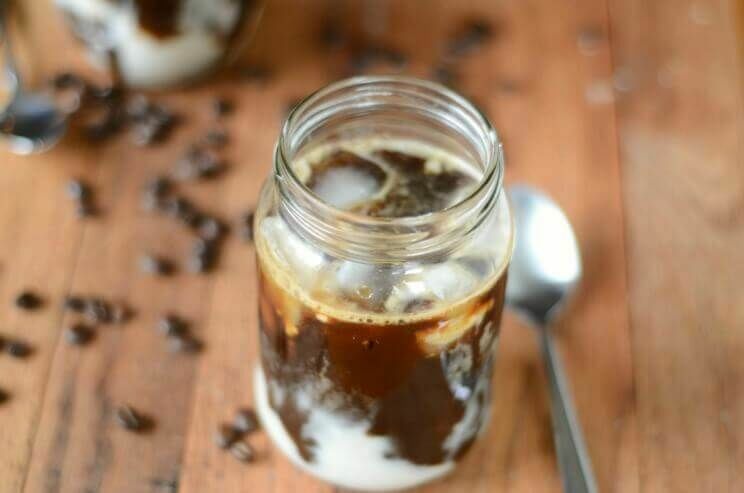 Oh, and this zippy Mexican iced coffee recipe doesn’t require a bit of cooking! Try this iced coffee variation for those times when you need an extra kick out the door. Vietnamese coffee is a specialty coffee drink has an infamously strong taste. The dark-roasted brew is counteracted by the super-sweetness of condensed milk to create a satisfying blend. 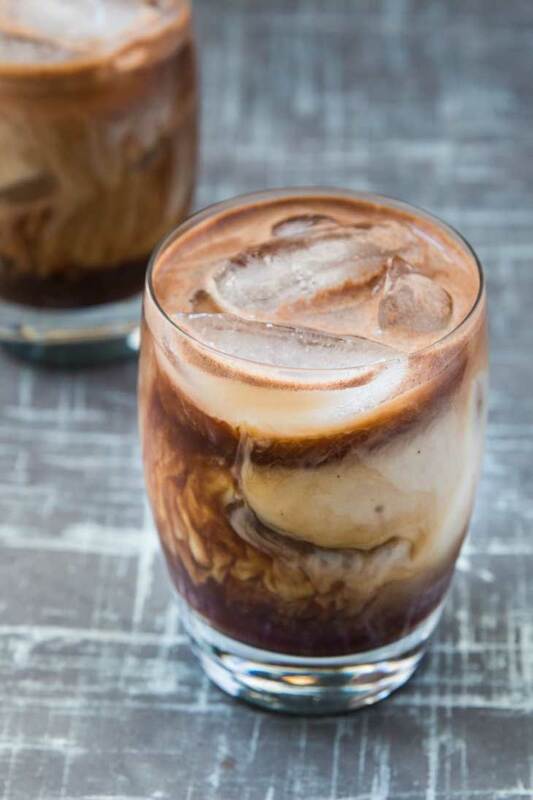 The secret to this tasty eastern iced coffee recipe is a dash of cardamom and almond extract, creating hints of aromatic and herbal flavors. The key ingredient of coconut milk creates a soft flavor while also working to provide you with much-needed electrolytes. Pairing vanilla with coffee is the perfect amount of light, refreshing and sweet. It’s also quite easy to make through this recipe, that has you mix in a simple syrup made of vanilla extract, Truvia, and water with almond milk and of course, beloved coffee. This sunny and floral drink will be your new favorite iced coffee recipe to cool off with. Adding a unique blend of dried culinary lavender, raw honey and almonds will revitalize your daily coffee and is loads of fun to make. Who knew dates could make for such enticing pair for a glass of iced coffee? After blending them with a little bit of vanilla and almond milk, you will be more than ready to take on the day. The natural sugars in dates is perfect in the morning to bring in instant energy.